UCLA Physical Sciences faculty are expanding the frontiers of human understanding in diverse fields. They are among the world’s most distinguished scholars and scientists and have been awarded the highest possible honors for their remarkable contributions to scientific knowledge. Six out of the seven UCLA faculty Nobel Laureates hail from the Division of Physical Sciences. Paul Boyer, Donald J. Cram, Willard F. Libby, and J. Fraser Stoddart have been honored for their contributions to chemistry; Lloyd Shapley was lauded for his work in economics; and Julien S. Schwinger has been recognized for his discoveries in physics. J. Fraser Stoddart, 2016, “for the design and synthesis of molecular machines” (Nobel Foundation). 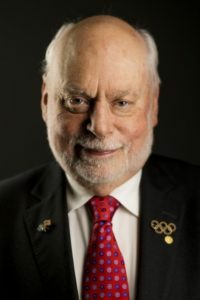 Click here to read the UCLA Newsroom announcement of Stoddart’s Nobel win. Lloyd S. Shapley, 2012, for “the theory of stable allocations and the practice of market design” (Nobel Foundation). 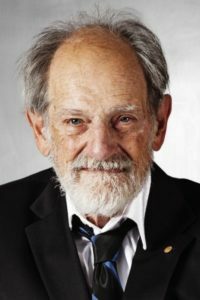 Lloyd S. Shapley, a professor emeritus of economics and mathematics at UCLA, was awarded the Nobel Memorial Prize in Economic Sciences. He shared the award with Harvard University economist Alvin E. Roth. Click here to read the UCLA Department of Mathematics’ in memoriam for Shapley. Paul Boyer, Chemistry, 1997, for “elucidation of the enzymatic mechanism underlying the synthesis of adenosine triphosphate (ATP)” (Nobel Foundation). Paul Boyer joined the UCLA faculty as a professor in chemistry and biochemistry in 1963. In 1965 he became the founding director of the Molecular Biology Institute. UCLA’s Boyer Hall was named in his honor. Boyer died on June 2, 2018, at age 99. Click here to read an in memoriam published by the UCLA Newsroom. 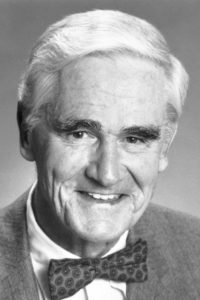 Donald Cram, Chemistry, 1987, for “development and use of molecules with structure-specific interactions of high selectivity” (Nobel Foundation). 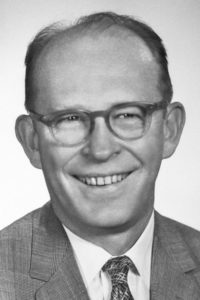 Donald Cram joined the UCLA faculty in 1947. It’s estimated that he taught introductory chemistry to more than 12,000 undergraduate students. Cram pioneered a field of organic chemistry known as host-guest chemistry. Donald Cram was born in 1919, the year of UCLA’s founding. When he died on June 17, 2001, he endowed the D.J. and J.M. Cram Chair of Organic Chemistry. Click here to read an in memoriam published by the University of California system. Willard F. Libby, Chemistry, 1960, for “his method to use carbon-14 for age determination in archaeology, geology, geophysics, and other branches of science” (Nobel Prize Foundation). Willard Libby was educated at the University of California, Berkeley, where he also worked as an instructor, assistant and then associate professor. During World War II he worked on the Manhattan District Project. At the end of the war he joined the faculty of the University of Chicago, but he left academia to become a member of the U.S. Atomic Energy Commission from 1954 to 1959. Libby became Professor of Chemistry at UCLA in 1959. In 1962 he became the founding director of UCLA’s Space Physics Center. In 1973 he founded the Environmental Science and Engineering program. Libby was born on December 17, 1908, and died September 8, 1980. Click here to read an in memoriam published by the University of California system. Julian S. Schwinger, Physics, 1965, for “fundamental work in quantum electrodynamics, with deep-ploughing consequences for the physics of elementary particles” (Nobel Prize Foundation). 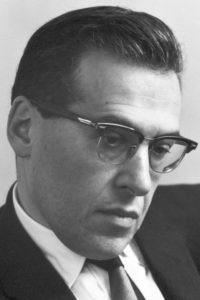 Julian Schwinger was a professor in UCLA’s department of physics from 1972 until his death in 1994. He was known as a valued colleague and an outstanding mentor to graduate students. Julian Schwinger was born Feb. 12, 1918 and died July 16, 1994. Click here to read an in memoriam by the University of California. Every four years, the International Congress of Mathematicians (ICM) recognizes outstanding mathematical achievement and promise with the Fields Medal. Beginning in 1924, the ICM adopted a resolution to award two gold medals at each Congress, and today, up to four medals are awarded. The medal was later named after ICM Secretary and Canadian Mathematician J.C. Fields. The Fields Medal Committee selects candidates, and one condition of selection is that a candidate’s 40th birthday must not occur before January 1st in the award year. 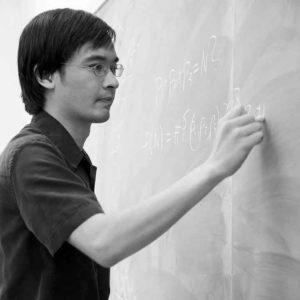 Terence Tao was awarded the Fields Medal on August 22, 2006 at the age of 31 “for his contributions to partial differential equations, combinatorics, harmonic analysis and additive number theory.” The Fields Medal is often described as “the Nobel Prize for mathematics.” Tao is the first UCLA mathematician to achieve this great honor. Tao, a math prodigy from Adelaide, Australia, began taking calculus as a seven-year-old. He earned his PhD from Princeton and joined UCLA’s faculty at the age of 20. By 24, Tao had become a full professor. He is renowned for his research on harmonic analysis, partial differential equations, combinatorics and analytic number theory. He is also the world’s expert on the Kakeya conjecture, Tao has also been recognized with many other distinguished honors, including a MacArthur fellowship, the Crafoord Prize for mathematics, and an election to the American Philosophical Society. He currently holds the James and Carol Collins Chair in mathematics at UCLA. The Crafoord Prize promotes international basic research in Astronomy and Mathematics, Geosciences, and Biosciences. The Royal Swedish Academy awards the Prize on a rotating scheme. 2012 was the first year that Astronomy and Mathematics each received a separate prize of SEK 4 million, making the Crafoord Prize one of the world’s largest scientific prizes. Andrea Ghez graduated with a B.S. in physics from MIT in 1987 and a PhD in physics from Caltech in 1992. Ghez currently uses and develops high spatial resolution imaging techniques to study star formation and the massive black hole at the center of our galaxy. Ghez also developed the “speckle imaging” technique. Among many awards and honors, Ghez has been elected to the American Philosophical Society and is the recipient of the MacArthur Fellowship, the Sackler Prize, and three UCLA Department Teaching Awards. Ghez currently holds the Lauren Leichtman and Arthur Levine Chair in Astrophysics at UCLA. Click here to visit Ghez’s website. Terence Tao, a math prodigy from Adelaide, Australia, began taking calculus as a seven-year-old. He earned his PhD from Princeton and joined UCLA’s faculty at the age of 20. By 24, Tao had become a full professor. He is renowned for his research on harmonic analysis, partial differential equations, combinatorics and analytic number theory. He is also the world’s expert on the Kakeya conjecture. 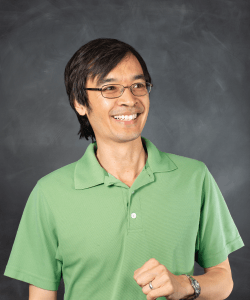 Tao has been honored with many prestigious awards and honors, including the Fields Medal, the King Faisal International Prize, and has been elected to the American Philosophical Society He currently holds the James and Carol Collins Chair in Mathematics at UCLA. Click here to visit Tao’s website. UCLA’s Division of Physical Sciences is proud to count seven recipients of the National Medal of Science among our faculty and former faculty members: Jacob Bjerknes, Richard Bernstein, Donald J. Cram, C. Kumar Patel, William Rubey, Julien Schwinger, and Saul Winstein. Established by the 86th Congress in 1959, the National Medal of Science is a Presidential Award honoring individuals “deserving of recognition by reason of their outstanding contributions to knowledge” in the physical, biological, mathematical, engineering, social and behavioral sciences. Schwinger was only 17 when his first scientific papers were published; he continued to work intensively until a few days before his death. During World War II, he played a leading role on the MIT team that developed radar. After the war, he became a Harvard professor and published the monumental papers on quantum electrodynamics for which he shared the Nobel Prize with Richard Feynman and Sin-itiro Tomonga. He joined UCLA’s faculty as a professor of physics in 1972. His published work comprises over 200 papers and numerous books. “For showing by profoundly original obeservations and clear physical reasoning how sand grains and mountains move and from whence oceans come.” [National Science Foundation]. Presented by President Lyndon Johnson at a White House ceremony on February 10, 1966. Rubey joined the UCLA faculty in 1960. He “retired” in 1966, but was recalled to service every year until his death in 1974. His advanced topics in geology seminars dealt with major unsolved problems in earth science, such as the origin and evolution of mountain belts, the diversity of igneous, sedimentary, and metamorphic rocks, the growth of continents, the origin of ocean basins and of sea water, and the evolution of terrestrial planets. “By watching and studying maps he discovered the cyclone-making waves of the air and the climate-controlling changes of the sea.” [National Science Foundation] Presented by President Lyndon Johnson at a White House ceremony on February 6, 1967. A Norwegian meteorologist, Bjerknes became famous in his twenties for his role in the discovery of the polar front in weather systems. On a visit to the U.S. in 1940, he was stranded by the German invasion of Norway. To support the war effort, he established a training school for air force weather officers at UCLA. Thus he founded UCLA’s meteorology department, now known as Atmospheric and Oceanic Sciences. The department honors his memory by conferring the Bjerknes Memorial Award to a promising graduate student. “In recognition of his many innovative and perceptive contributions to the study of mechanism in organic chemical reactions.” [National Science Foundation] Presented by President Richard Nixon at a White House Ceremony on May 21, 1971. Winstein graduated from UCLA in 1934, and received his degree from CalTech in 1938. After a year at Harvard, he returned to UCLA in 1941, where his research flourished until his death in 1969. Among his many achievements, he made important discoveries in medium effects, radical and organometallic reaction mechanisms, ion-pair behavior, and sustitution and elimination reactions. His colleagues noted that “his research results started whole trends which can be identified with vast bibliographies involving many distinguished investigators the world over.” The Department of Chemistry and Biochemistry named the annual Winstein Lecture in his honor. “For his development and use of the technique of molecular beams, which have played a significant role in shaping the field of modern chemical dynamics.” [National Science Foundation] Presented by President George H.W. Bush at a White House ceremony on October 18, 1989. “For his pioneering research on the chemical foundations of molecular recognition; the understanding of the molecular basis of biological systems; his shaping of scientific thought and development, and guidance to generations of students.” [National Science Foundation] Presented by President Bill Clinton and Vice President Al Gore at a ceremony on the White House South Lawn, September 30, 1993. Cram was born in 1919, the same year UCLA was established. He joined the UCLA faculty in 1947 and taught chemistry, including introductory courses, to generations of students. Cram was the co-author of Organic Chemistry, a well-known textbook widely used in the U.S. His work on host-guest chemistry earned him the Nobel Prize, as well as the National Medal of Science. “For his fundamental contributions to quantum electronics and invention of the carbon dioxide laser, which have had significant impact on industrial, scientific, medical, and defense applications.” [National Science Foundation] Presented by President Bill Clinton in a White House ceremony on July 26, 1996. Three scientists from UCLA’s Division of Physical Sciences have been recognized as MacArthur Fellows for showing exceptional merit and promise of continued creative work: Andrea Ghez, Terence Tao, and Richard Turco. MacArthur Fellows receive an unrestricted award of $500,000 distributed over five years to encourage their creativity and potential to make important contributions in the future. Andrea Ghez graduated with a B.S. in physics from MIT in 1987 and a PhD in physics from Caltech in 1992. Ghez currently uses and develops high spatial resolution imaging techniques to study star formation and investigate the massive black hole at the center of our galaxy. Ghez also developed the “speckle imaging” technique. Among many awards and honors, Ghez has been awarded the Crafoord Prize for Astronomy and was elected to the American Philosophical Society. Terence Tao, a math prodigy from Adelaide, Australia, began taking calculus as a seven-year-old. He earned his PhD from Princeton and joined UCLA’s faculty at the age of 20. By 24, Tao had become a full professor. He is renowned for his research on harmonic analysis, partial differential equations, combinatorics and analytic number theory. He is also the world’s expert on the Kakeya conjecture. Tao has been recognized with many other distinguished honors, including the Fields Medal, the Crafoord Prize for mathematics, and an election to the American Philosophical Society. He currently holds the James and Carol Collins Chair in mathematics at UCLA. Richard Turco earned a B.S. from Rutgers University in electrical engineering and an M.S. and Ph.D. from the University of Illinois in electrical engineering and physics. Prior to joining UCLA’s Atmospheric and Oceanic Sciences faculty in 1988, Turco served as a research scientist at R & D Associates. His research has focused on nuclear winter, the photochemistry of ozone, and threats to the stratospheric ozone, including chlorofluorocarbons and rocket exhaust. 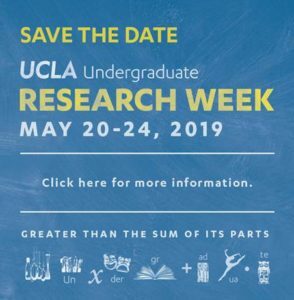 His awards and honors include NASA’s H. Julian Allen Award for outstanding research, the American Physical Society’s Leo Szilard Prize, and the UCLA Distinguished Faculty Research Lectureship. Turco is the founding member of UCLA’s Institute of the Environment and Sustainability (IoES) and a member of the Institute for Geophysics and Planetary Physics. 31 members of the National Academy of Sciences call UCLA’s Division of Physical Sciences home. The National Academy of Sciences is a non-profit organization providing expert advice on some of the world’s most critical challenges. The National Academy of Sciences is the nation’s leading provider of objective information on science, engineering and health. Members from UCLA contribute to groundbreaking reports that shape policy, inform the public, and advance scientific knowledge. Six Physical Sciences faculty members have been elected to the American Philosophical Society (APS). The APS is America’s first learned society, founded by Benjamin Franklins in 1743. The APS elects members who are truly top scholars in their fields to honor extraordinary academic accomplishments. Andrea Ghez graduated with a B.S. in physics from MIT in 1987 and a PhD in physics from Caltech in 1992. Ghez currently uses and develops high spatial resolution imaging techniques to study star formation and the massive black hole at the center of our galaxy. Ghez also developed the “speckle imaging” technique. Among many awards and honors, Ghez has been elected to the American Philosophical Society and is the recipient of the Crafoord Prize, a MacArthur Fellowship, the Sackler Prize, and three UCLA Department Teaching Awards. Ghez currently holds the Lauren Leichtman and Arthur Levine Chair in Astrophysics at UCLA. Terence Tao, a math prodigy from Adelaide, Australia, began taking calculus as a seven year old. He earned his Ph.D. from Princeton and joined UCLA’s faculty at the age of 20. By 24, Tao had become a full professor. He is renowned for his research on harmonic analysis, partial differential equations, combinatorics and analytic number theory. He is also the world’s expert on the Kakeya conjecture. Tao has been honored with many prestigious awards and honors, including the Crafoord Prize, the Fields Medal, and the King Faisal International Prize. He currently holds the James and Carol Collins Chair in Mathematics at UCLA. Margaret Kivelson received her Ph.D. from Harvard University. Kivelson worked in plasma physics at RAND prior to joining UCLA in 1967. Her research interests include magnetospheric plasma physics of Earth, Jupiter, and Saturn; interaction of flowing plasmas with planets and moons; and ultra-low frequency waves. Kivelson has had a great impact on the study of magnetic fields, worked to analyze data from two Pioneer spacecraft missions, and was the first to propose building the magnetometer for Galileo. Kivelson is currently Professor Emerita in the Department of Earth and Space Sciences. 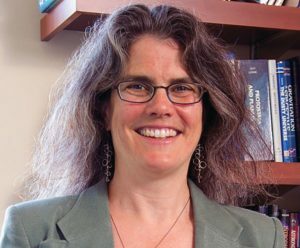 She is the recipient of the 2017 Kuiper Prize of the American Astronomical Society for outstanding contributions to planetary science. David Eisenberg earned an A.B. in biochemical sciences from Harvard College and a D.Phil from Oxfrd University in theorhetical chemistry on a Rhodes Scholarship. 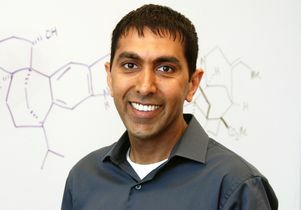 After postdoctoral study at Princeton University, he joined UCLA’s faculty as a Professor of chemistry and biochemistry and biological chemistry. Eisenberd is currently HHMI Investigator and Director of the UCLA DOE Institute for Genomics and Proteomics. He studies protein interactions by x-ray crystallography, bioinformatics, and biochemistry, with an emphais on amyloid-forming proteins. Eisenberg has published over 300 papers and revies and hold half a dozen patents. Eisenberg’s honors include the UCLA Distinguished Teaching Award, a John Simon Guggenheim Fellowhip, an ACS Faculty Mentoring Award, and the Stein and Moore Award of the Protein Society. J. William “Bill” Schopf earned his A.B. in Geology from Oberlin College, and his A.M. and Ph.D. from Harvard. Schopf is an expert in Paleobiology, Astrobiology, and Organic Geochemistry. Schopf uses cutting-edge confocal laser scanning microscopy and Ramen spectroscopy to study the cellular anatomy and chemistry of fossils, including some of the oldest known Precambrian microscopic fossils. Schopf is also working to develop a low-teperature “geochemical thermometer” for use in both paleobiology and in petroleum exploration. Schopf’s many awards include a UCLA Distinguished Teaching Award, the A.T. Waterman Medal, and the M.C. Thompson Medal. Schopf has also been a Guggenheim Fellow, and is a member of the American Philosophical Scoiety and the Linnean Society of London. Paul Boyer received his B.S. in chemistry from Brigham Young University and his PHD in biochemistry from the University of Wisconsin. 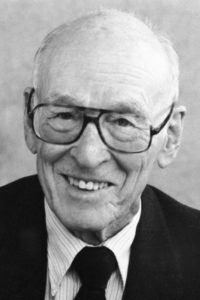 Boyer researched at Stanford, taught at the University of Minnesota, and received a Guggenheim Fellowship before joining UCLA’s Chemsitry & Biochemistry faculty in 1963. Now Professor Emeritus, Boyer has had a long and successful career at UCLA. His many achievements include serving as the founding director of UCLA’s Molecular Biology Institute and winning the Nobel Prize for chemistry in 1997. The American Academy of Arts and Sciences was founded in 1780 and currently has 4,000 members nationwide and 600 foreign honorary members. Members are elected as leaders in their fields to contribute to the Academy’s independent policy research and the study of emerging problems. Twenty-six faculty in UCLA’s Division of Physical Sciences have been elected as members to this distinguished academy of experts. UCLA is also where many of the world’s best educators teach the next generation of scientists. 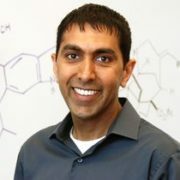 In 2018, Chemistry & Biochemistry professor Neil K. Garg was named recipient of the 2018 Robert Foster Cherry Award for Great Teaching in recognition for his extraordinarily successful approach to teaching organic chemistry, especially to undergraduates. The award is the country’s top honor for teaching and comes with a $250,000 prize for Garg, plus $25,000 for his home department of Chemistry & Biochemistry. Click here to read UCLA’s announcement about the award. The Presidential Early Career Awards for Scientists and Engineers is the highest honor bestowed by the United States government on scientists in the early stages of their careers. Sixteen federal departments and agencies annually nominate scientists whose early accomplishments show outstanding promise for assuring America’s preeminence in science and engineering. Aradhna Tripati uses the chemistry of natural compounds to understand how the Earth works, including gaining important insights into climate change, the oceans and the transfer of carbon among the biosphere, atmosphere and oceans. She and colleagues have reported that, as the last ice age ended, the collapse of an ice sheet in what is now western Canada triggered a reorganization of the jet stream over the course of about only 100 years; that Antarctica could be headed for major meltdown; how ancient fossils hold clues for predicting future climate change, and that you would have to go back at least 15 million years to find carbon dioxide levels on Earth as high as they are today. Hudson’s research centers on understanding and harnessing the power of quantum interactions to to enable new tests of fundamental physics and new technology. His work has uncovered an apparent departure from the laws of thermodynamics and pioneered a new technique that combines two traditional atomic cooling technologies and brings normally springy molecules to a frozen standstill. These molecules could be the building blocks of the next generation of computers. Yuri Shprits studies the high-energy particles trapped by Earth’s magnetic field in the Van Allen radiation belt. His innovative research modeling the Van Allen belt will ultimately protect satellites from these particles, and will aid in the design of satellite missions. Xiangfeng Duan’s research on nanoscale materials has applications in electronics, energy science, and biomedical science. Duan’s work aims to change existing technologies and create a new generation of integrated nanosystems. Duan has recently been awarded the prestigious DuPont Young Professor award and the Journal of Materials Chemistry Lectureship. Often characterized as “mid-career” awards, the Guggenheim Fellowships acknowledge men and women who have already demonstrated exceptional capacity for productive scholarship or creative ability in the arts. In a rigorous selection process, applicants are pooled with other candidates in the same field, and examined by experts in the field. The Sloan Research Fellowship is a distinct honor for early-career scientists. Each year, the Sloan Foundation provides 126 scholars of outstanding promise with a two-year fellowship. Since the fellowship’s inception, 112 scientists from the Division of Physical Sciences have received the award. The Royal Society is a fellowship of the world’s most eminent scientists and is the oldest scientific academy in continuous existence. Fellowship is granted to those who have made substantial contributions to research and advancing understanding in their field of science, medicine or engineering. A lifetime distinction, fellowship in the Royal Society is one of the highest honors a scientist can receive. UCLA’s Division of Physical Sciences is home to some of the best scientists in California, and the world. Each year, the California Science Center recognizes an outstanding California scientist with the California Scientist of the Year Award. 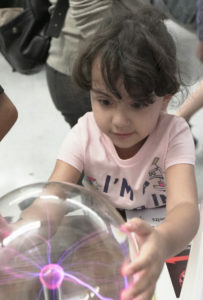 Through this award, the California Science Center aims to increase awareness of new scientific research and achievement. Since the first award in 1958, three UCLA scientists from the Division of Physical Sciences have been honored as California Scientist of the Year: John M. Dawson, Donald J. Cram, and Saul Winstein. Saul Winstein greatly contributed to the field of physical organic chemistry. He graduated from UCLA in 1934, and received his degree from CalTech in 1938. After a year at Harvard, he returned to UCLA in 1941, where his career flourished until his death in 1969. Among many achievements, he made important discoveries in medium effects, radical and organometallic reaction mechanisms, ion-pair behavior, and substitution and elimination reactions. In Memoriam. Donald J. Cram received his B.S. from Rollins College, Florida in 1941 and his M.S. from the University of Nebraska in 1942. He worked on the chemistry of penicillin from 1942 to 1945 at Merck & Co, and received his PhD from Harvard in 1947. After a postdoctoral fellowship at CalTech, he joined UCLA’s faculty in 1947. During his distinguished career at UCLA, Cram made major contributions to the chemistry of phenonium ions, asymmetric induction, carbanions, paracyclophanes, and reaction mechanisms. His textbook, co-authored by George Hammond, revolutionalized how organic chemistry is taught. He won the Nobel Prize in 1987 for his research discoveries that created the field of host-guest chemistry. In Memoriam. John M. Dawson received his B.S. (1952), M.S. (1954), and PhD (1957) from the University of Maryland. He taught at Princeton University from 1956 to 1973, when he joined UCLA’s faculty. For more than four decades, Dawson was a leading figure in the physics of high temperature plasma. He made significant contributions across plasma physics: magnetic fusion, inertial confinement fusion, space plasma, plasma astrophysics, free electron lasers, and basic plasma physics. He is regarded as the father of plasma-based accelerators and computer simulation of plasmas. He served as director of the UCLA Institute of Plasma and Fusion Research from 1989 to 1991, and as principal scientist from 1989 until his retirement in 2001. In Memoriam.